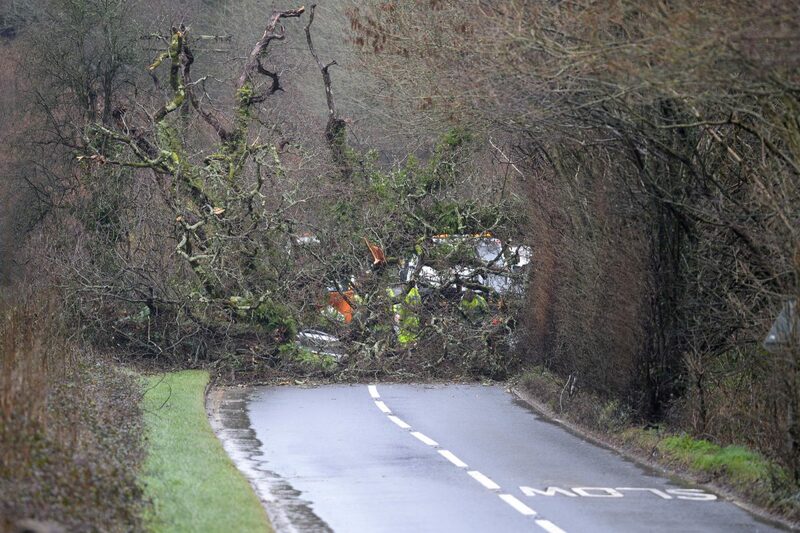 A man has died after a tree fell on two cars in heavy winds this morning. 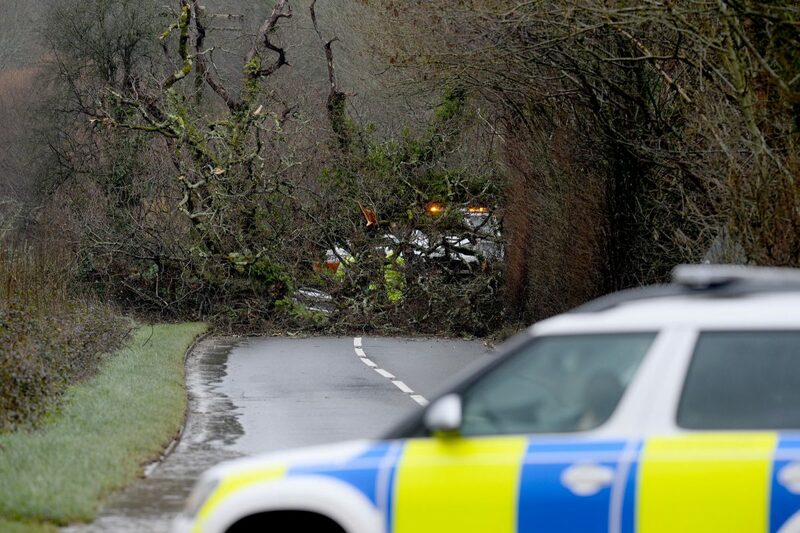 The casualty, 50, was driving an Alfa Romeo when the tree collapsed on top of him during Storm Erik. The accident happened at around 5.30am today (Friday), and Devon and Cornwall Police have now confirmed the man, from Totnes, Devon, was pronounced dead at the scene. 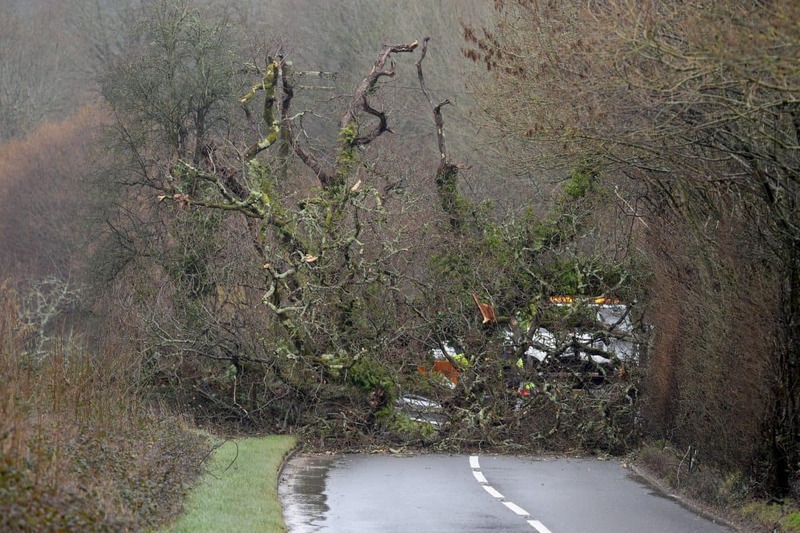 A woman in her 20s, who was driving a Hyundai, sustained minor injuries in the same incident on the A384 near Buckfastleigh, Devon, and was taken to hospital. 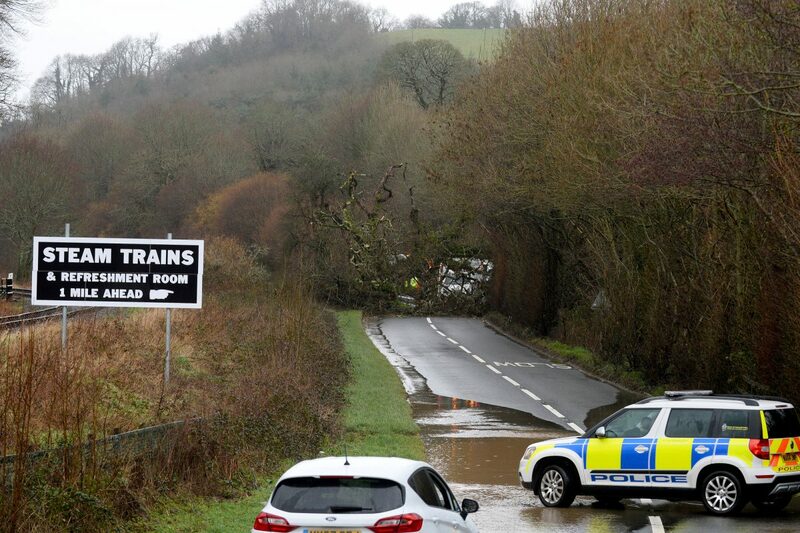 Devon and Cornwall Police said: “The road has been closed both ways at the A38 Dartbridge junction through to the Dartington roundabout. “The road is expected to be closed for the majority of the day due to the complexity of the recovery operation and for police to carry out an examination of the scene.